What Catholics Believe and Why We Believe It! This Bible features the Fireside Catholic Publishing exclusive Librosario cover. The only Bible with a Pray-Along-Rosary on the back cover. 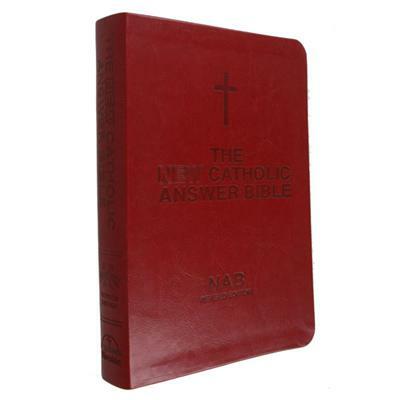 This New American Bible Revised Edition recently released by the Catholic Bishops of the United States features clear and concise explanations of the Catholic Church's teachings on critical issues where they are found in scripture. Questions such as: Aren't Statues a form of Idolatry?, Where is Penance found in the Bible?, Aren't all Christians Saints?, and many, many more. Large print text is easily read. 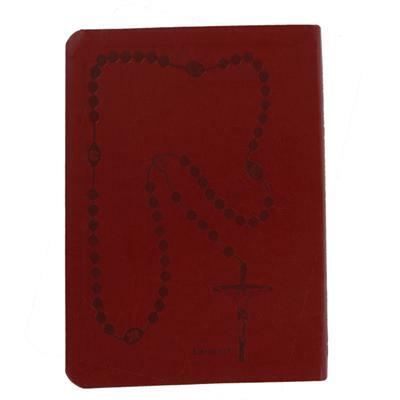 Features include: Presentation Page; Dogmatic Constitution on Divine Revelation; Origin, Inspiration and History of the Bible; Three Year Cycle of Readings; Celebration of the Eucharist and Page-edge Indexing. 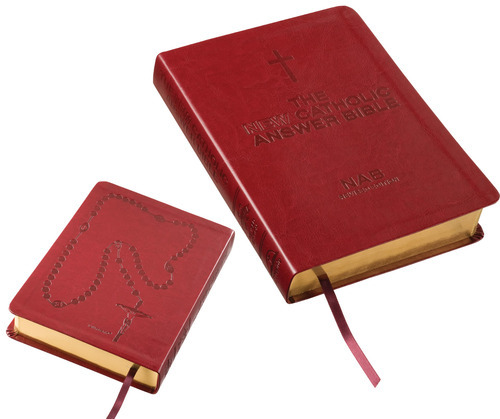 A great gift idea for RCIA, Confirmation, or anyone interested in learning more! 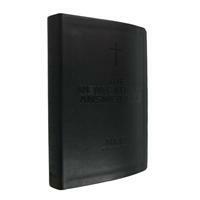 Soft Black Imitation Leather with Rosary on the back adds to the quality of the Catholic Answer Bible. 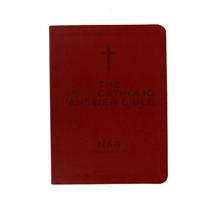 Many articles on the faith and Catholic tradition. 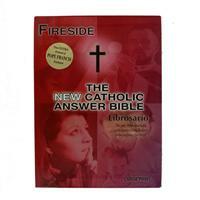 Often used in schools and RCIA programs or by those searching to learn more about the Bible & faith. 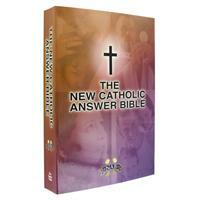 Find answers to questions about Catholic beliefs and practices and their foundation in Scripture in this paperback study Bible. Often used in school and RCIA programs it has answers to diverse topics n full color articles throughout the full scripture.